Now you can wear your I Bike PHL shirt and really mean it! A series of 16 new bicycle racks have been installed at five locations at the Philadelphia International Airport (PHL). 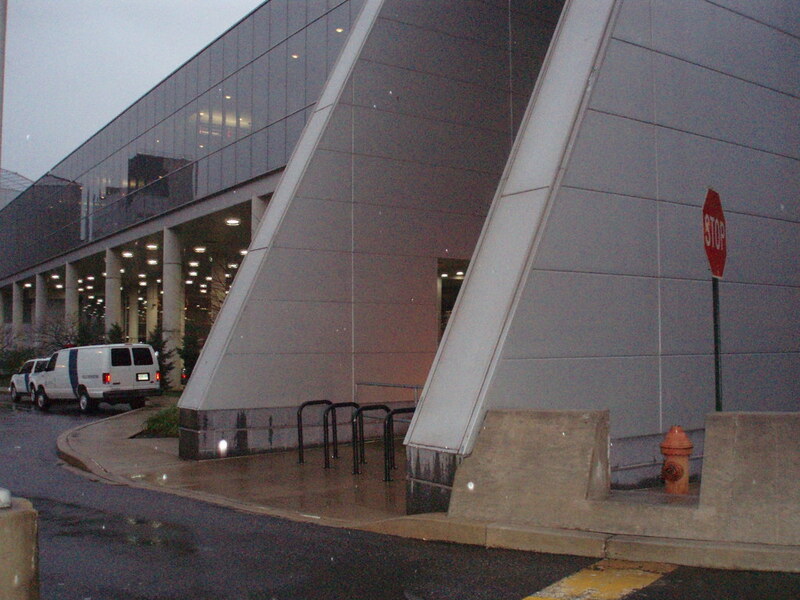 The locations of these bike racks are: the Employee Parking Lot bus entrance area on Bartram Ave, Terminal A West adjacent to the Taxi Holding Lot, behind the Marriot Hotel under the B-C Garage entrance ramp, at the Terminal D entrance to the Multipurpose Lot, and adjacent to the Philadelphia Parking Authority administration building. All of these bike racks are for use by Airport Employees and the public has access to the Terminal A West, Marriot Hotel and Terminal D bicycle racks during their visits to the airport. There will be a Bike Rack Dedication Ceremony at the Terminal D bike rack location at 1:00 PM on 19 April 2010 during the Airport's Earth Week Celebration. This location is adjacent to SEPTA’s R1 Regional Rail Airport Terminal D platform. For anyone interested in riding to this event, a group of cyclists will be leaving from the SEPTA R1 Eastwick Train Station at 12:30 PM, stopping at the front door of International Plaza Building 2 at 12:40 PM, and ending at the Airport Terminal D platform bike rack location just prior to the Dedication Ceremony. I would love to ride my bike to the airport! What is the planned route from the station to the International Terminal? Can you post a google maps link? If the airport is encouraging people to bike to the airport than why have they got a 72 hour limit for how long you can park your bike at the airport racks. They make no such limits on car parking why do it for bikes.